This week we were busy little bees ,preparing for our Matariki Celebration. The school held an amazing night where we ate lovely hangi , prepared and served by students and an awesome performance by the Kapa Haka group. Our job was to help decorate the hall. Together with Room 6 , we made salt dough stars and decorated feathers that we put together to make a mini cloak. 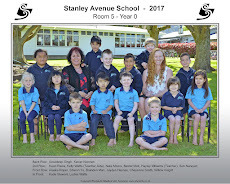 Mrs Williams was in Room 6 and read a cool story about little kiwi and matariki. It was an awesome night and great to see some students from Room 5 with their whanau there on the night.